There is nothing quite like the feeling of wearing clothes cut and designed specifically for you. It’s style at its finest. But custom clothing doesn’t only mean James Bond suits and tuxedos—though we certainly do that, too. 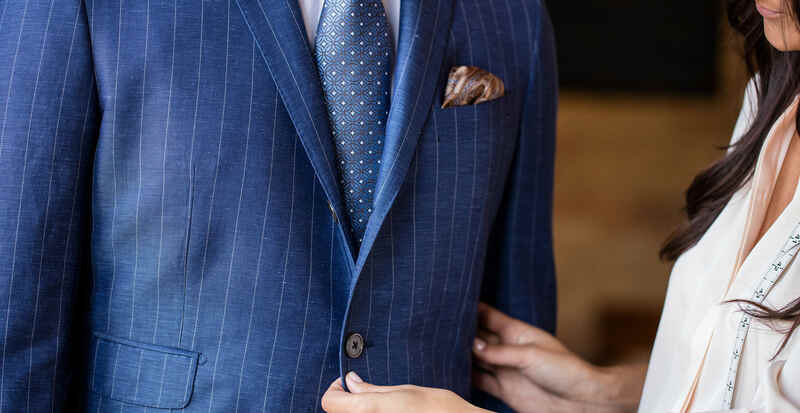 We can create a custom wardrobe of shirts, coats, chinos, and even shorts, if you’d like (just imagine a properly-fitting pair in the exact right length). When your stylist is a custom specialist, your shopping experience is truly unique to Trunk Club. With more than 140 hours of training, shadowing, and education, you can trust that you’re working with the best of the best. Just like a traditional Clubhouse appointment, you’re greeted when you arrive with a complimentary beverage. Next, your stylist meets you and takes you to your fitting lounge. You may have already chatted with your stylist about why you came in, but from this point forward, they’ll spend most of your appointment getting to know the ins and outs of what you need. Along with our custom offerings, your stylist is always able to offer wardrobe solutions, whether they be custom or ready-to-wear options. Once you’ve decided to create something custom, and we’ve identified any holes in your wardrobe, it’s time to start selections. From fabrics to linings to buttons and monograms, your garment is entirely your own. 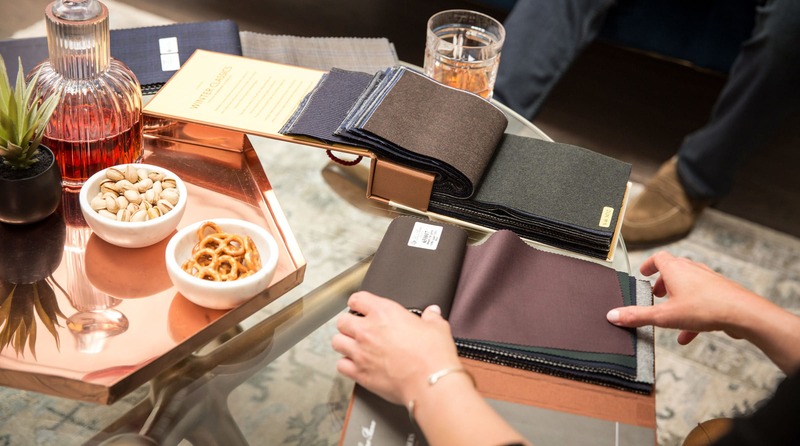 We find that coat linings are one of our customers’ favorite things to choose. When your options range from paisley prints to skulls and crossbones, you’re sure to find the perfect lining to suit your personality. After choosing fabrics, it’s time for measurements. If you’re a first-time customer, your order may require up to 26 precise measurements. We take everything into consideration to get the proper fit, including your posture and the slope of your shoulders. Once we have your pattern on file, creating new garments is as simple as picking out new fabric. As far as timing goes, expect it to take about six weeks from your initial consultation to receiving the completed garment. That means planning ahead and starting the conversation with your stylist early is key. The first appointment could take up 90 minutes, where most of the time is spent mapping out your wardrobe needs. 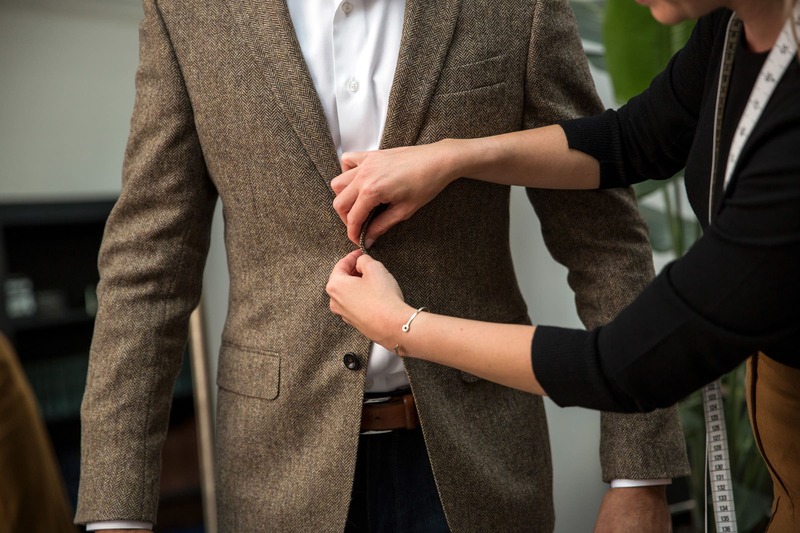 A few weeks later, you’ll be ready for your second fitting where minor alterations will be made to ensure your garment fits your frame properly. Your pattern will also be updated so starting on your next custom garment will be a breeze. Once those details have been tightened up, you’re only about seven days away from receiving the final garment. 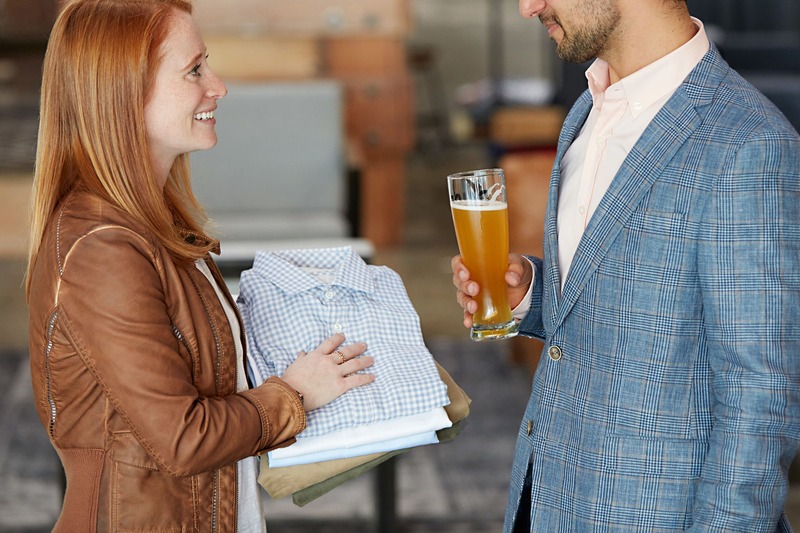 We’d love for you to take us at our word that Trunk Club is the best way to shop for custom clothing, but we recommend making an appointment to experience it for yourself.